Do You Know Your Job Search Audience? Would you do a presentation to a group of vegetarians on the best way to barbecue a steak? I would certainly hope not! As experienced public speakers will tell you, it’s critical to know your audience before you try to communicate with them. The same holds true for conducting an effective job search—starting with the resume you submit for opportunities and share with potential job-lead sources. It’s essential to develop your career marketing tools with your “target market” in mind; in other words, based on the employers and types of job opportunities you’re particularly interested in. Here’s an important, can’t-avoid-it point to bear in mind: Adopting a general, one-size-fits-all resume and job search approach does not work. By itself, it won’t generate the potential for meaningful interviews, let alone get you close to a job offer. You’re too lazy or uninterested to put the effort into setting yourself apart from your competition. You’re too ill-informed to know how to do that and instead try to convince yourself it’s not necessary. Worse, it tells employers you don’t really care much about making a positive impression on them. You’re just using the shotgun approach for your job search and hoping you hit something good. Getting to know your job search audience requires leg-work, starting with research (online and offline) and evaluation. That includes taking a good look at your value, your goals, any must-have items you’ve identified and other key factors. Then it means looking for and assessing potential opportunities with a realistic view of what the companies need and how well that matches with the value you have to offer and the assessment you’ve done of your needs. There’s no guarantee that putting in the effort needed to know your job search audience will result in phone calls, job interviews and job offers. 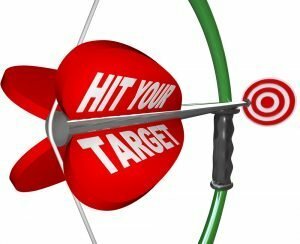 However, it’s almost a foregone conclusion that you won’t hit the target if you don’t do that! In the long run, taking the time to know your job search audience and focus your activities on it could actually shorten your job search and increase your income by putting you in a new job sooner rather than later. That’s reason enough to make the effort and do it right.